Pharr City Commissioners present the Children’s Advocacy Center of Hidalgo County (Estrella’s House) and Executive Director Jesus Sanchez with a proclamation. Mayor Ambrosio Hernandez, M.D. 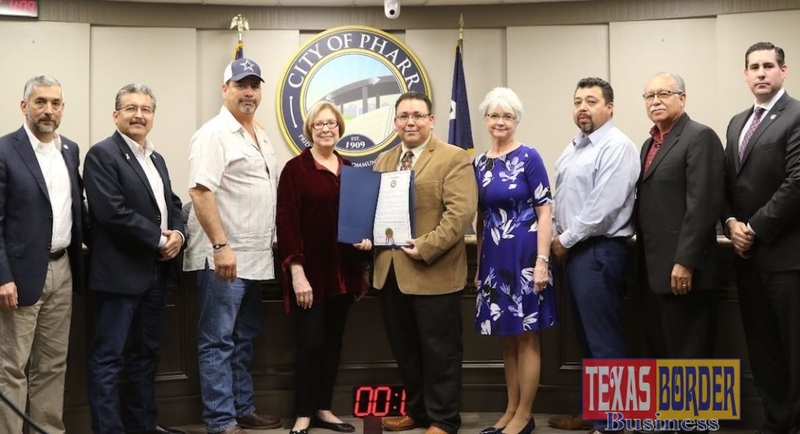 and the Pharr City Commission approved a proclamation designating March 2, 2019, as Children’s Advocacy Center of Hidalgo County Day. The center also is known as Estrella’s House, is one of 800 Children’s Advocacy Centers nationwide, one of 71 certified Children’s Advocacy Centers in Texas and the first child-focused facility and community-based program of its kind in Hidalgo County, servicing child abuse victims age 2 – 17 years of age. The center works to reduce the emotional trauma to child abuse victims, which supports the prevention of child abuse through community education and promotes the effective prosecution of those who perpetrate crimes against children. Jesus Sanchez, Executive Director, accepted the proclamation on behalf of the organization and stated, “We are often the first stop for children who have been suspected of abuse or neglect, our goal is to restore the lives of children through healing and justice. 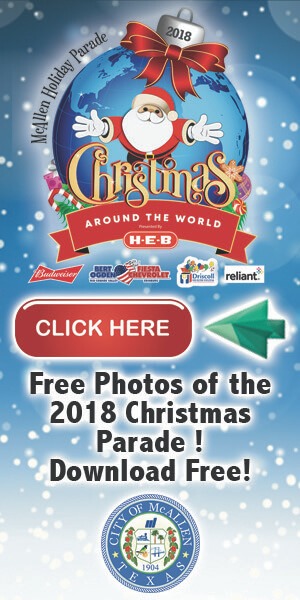 Last year we saw 1,618 abused children, 149 from the city of Pharr.” “We are thankful to the city of Pharr, the Pharr Police Department, and investigators for your continued support,” he said. Sanchez announced that in order to raise awareness and funds for the organization, the Children’s Advocacy Center of Hidalgo County, is hosting their Annual Vinos Wine Extravaganza at the Embassy Suites McAllen Convention Center on Saturday, March 2, 2019 from 7:00 pm – 11:00 pm, featuring delicious food provided by local restaurants, fine wines and amazing entertainment by Premier Showband Satellite and The Renaissance Rockers.